Usually, every individual brushes his or her teeth after getting from the bed. But, this habit is not sufficient to keep dental problems away. You are advised by the dentist to brush your teeth at least twice a day (it could be more) according to your suitability and convenience.
. This device will really help you to brush conveniently. If you are the person that is not always at home, then you can get a travel toothbrush to brush your teeth while outdoors or journeying. If you are the type that usually forgets to keep your toothbrush with you or brush your teeth in time, you can set reminders on your phone to brush your teeth. Gradually, you will get used to brushing your teeth on a regular basis. Flossing is an essential part of daily oral care and the best way to remove the hardest food particles between your teeth. It does not matter whether you eat food twice or thrice a day. You can floss your teeth gently and easily after every meal. What you need to do is to hold the floss tautly between your index finger and thumb and slide it gently up and down between your teeth to remove the stubborn food particles and plaque in your teeth. There are two types of floss—multifilament and monofilament. Both are equally good and you can choose any one of them. If you are accustomed to eating sugar enriched foods and beverages, then you will have to change your eating habit. Sugar is the enemy of your oral hygiene, so keep a distance from it or reduce it. Get used to eating those fruits and vegetables, which contain antioxidants. They fight bacteria that lead to gum oral diseases. If you are used to drinking liquor and smoking, you will have to compromise on your habit as they are great stumbling blocks to your daily oral care at home. According to medical research, tea and coffee give mental relief to human, they can give rise to dental problems if they are consumed in an excessive amount. Most people, who have hectic schedule often consume them four to five times a day or even more than that. Caffeine is the major product which is used in these two beverages. It is an alkaloid compound, which is harmful to your oral health and can wreck your daily oral care. You are not advised to consume tea and coffee on a permanent basis. Rather, you should reduce its use. In recent time, oral cancer has become so common that thousands of people die of this disease every year. In order to eliminate this deadly disease and get the best oral care possible, you should get yourself screened through VELscope every year. The best thing about this device is that it gives the early signs of oral cancer. As a result, you can get early treatment for this disease. If this disease spreads to other surrounding parts of the mouth, then it becomes incurable and non-treatable. Ultimately, you may have to claim your life. Since oral diseases are silent killers, it is not possible for you to detect their origin in time. What you need to do is to fix your schedule to meet a well-qualified dentist in your city every six months. He or she will be carrying out check-ups to let you know whether you have any early signs of any dental diseases. According to your disease, he or she will suggest to you preventive measures and treatment procedures. So, visit your dentist. You should be happy and keep smiling. 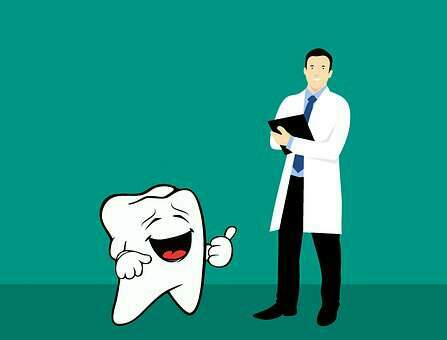 Your happiness will keep you away from your dental diseases. From a psychological point of view, happiness is the best medicine to all problems. These are the tips that you can contemplate for the maintenance of daily oral care and good oral hygiene. Go through them with more attention and bring them into action. However, if you come across any problems, do not forget to get dental treatment in your local area or visit some of the best dental office like Delhi, India, family dental care, LAGOS, Nigeria, family dental care, Illinois USA, and many more dental clinics with well and latest dental technology and available 24×7 to you. Remember that your overall health depends on your oral hygiene. So, take it seriously and try your best to take great care of it. Maximize your oral care protection with BioCoat Bioactive Resin Pit and Fissure Sealant! NTI Night Guard Device: Reduces Jaw-Clenching and Headache.